As a name grows increasingly more popular, new parents create spelling variations to provide a sense of individuality. 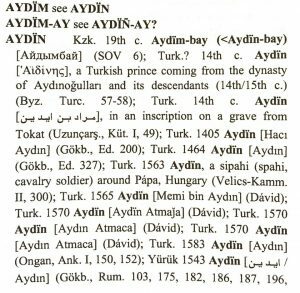 While you may assume an unusual spelling of a common name is a unique take on a typical American name, it may also be a name from a different culture! LEAH, stemming from Hebrew, is another common American name that has a variety of spellings. One option is LIAH, which happens to have origins in Chinese, too! This Chinese name is a combination of the name LI paired with the diminutive marker, AH. KALI is a spelling option for the popular name KAYLEE. However, KALI is also a name used throughout India, often used for males, in honor of the Hindu goddess, Kali. The name MIA, often a nickname for both MARIA and AMELIA, has been a Top 10 girls' name on SSA's list since 2009, making it a good candidate for innovative spellings. The spelling MIYA, for instance, actually has Japanese roots! In Japanese, MIYA means 'palace, shrine'. Many names - such as these four - demonstrate the prevalence of onomastic cultural overlap. Uncovering common American names that are varied in their spelling highlights the cultural diversity within a name. When it comes to multicultural data, it's vital to consider every derivation of a name so you can best interact with your audience!